Many women, especially my natural clients, ask me all the time if they should use grease on their scalp, or put grease in their hair period. Women with young daughters often put it on their kids' hair thinking that it is a moisturizer. I do not recommend using grease for anything other than using it on ashy feet or elbows, and that is only if you do not have any more lotion! Grease is extremely thick and does not penetrate the hair. As a matter of fact, it does the exact opposite. Putting grease on the scalp clogs the pores, blocking the natural moisturizer that the hair produces on its own, sebum, to come through. That is why oftentimes people who slather grease on their hair often say that it seems like the more they use, the drier their hair is. That is because the grease blocks any moisture from going our or coming in. It also weighs the hair down, making it stiff and not allowing it to move freely. Also, despite what it may say on the packaging, grease does not help your hair grow in any way, shape, form, or fashion. 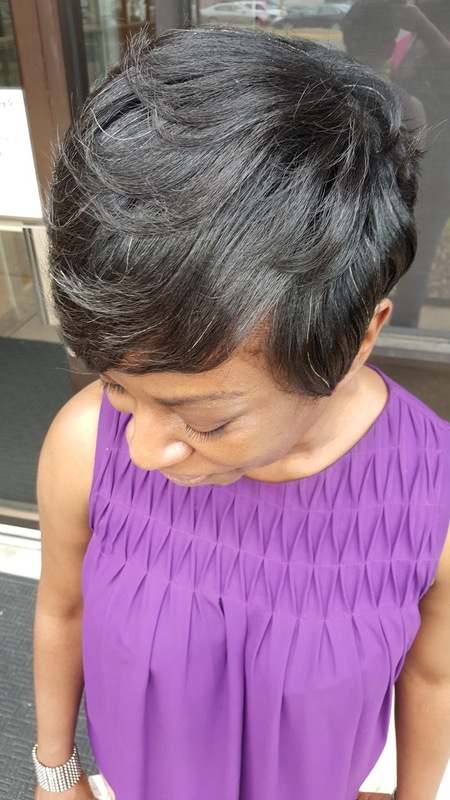 Instead of using grease on your scalp, use a moisturizing shampoo (like Silk Hydration's Extreme Moisture) and conditioner (like Silk Hydration's Replenishing Conditioner). Also, use a light oil sparingly (like Silky Serum Oil). A little goes a long way. 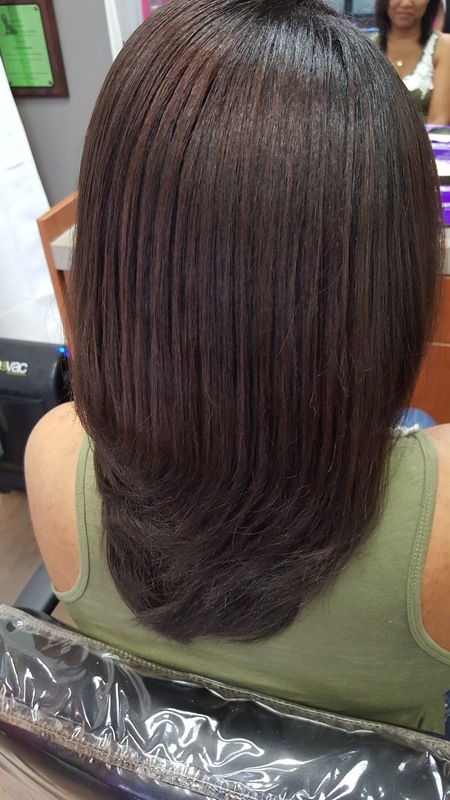 I use it on my clients to give them a shine without making the hair heavy. If your hair seems extremely dry, start nourishing from the inside out. Drink at least 64oz, or half of your body weight, of water daily. Next, make sure your shampoo and conditioner have moisturizing agents in them. Applying oil should be your last resort to making your hair look shiny and you should only use small amounts at a time.. 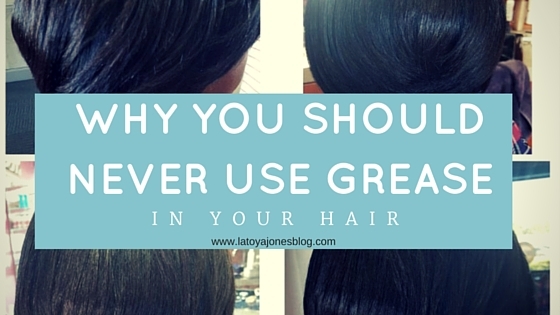 So when it comes to using grease in your hair, JUST SAY NO!! No grease used at all! Rather watch the video on this? Here you go! Great post!! Years ago I used hair grease thinking it would grow my hair. As I got older I started to notice my hair wasnt giving me what I wanted which was soft free blowing hair. You know like the hair of stars. Now I got the hair that I want! Maintenance does go a long way. You are right! A light oil sheen is the way for me!! Thanks Toya! Thank you for posting this, I am making note of this. No wonder my hair is dry with dandruff at times. Will be trying this hair regimen.